Mumbai’s version of sushi and sticky rice on the go. Welcome to the world of Japanese-style fast food. Or at least Mumbai’s version of sushi and sticky rice on the go. Wok Express at Kemps Corner is one of the new breed of takeaway joints that have popped up in Mumbai—small eateries that whip up quick oriental dishes and serve them in cardboard and plastic boxes. The menu offers dim sum and sushi, but it is quite clear that the ‘boxes’ and bubble tea take pride of place. 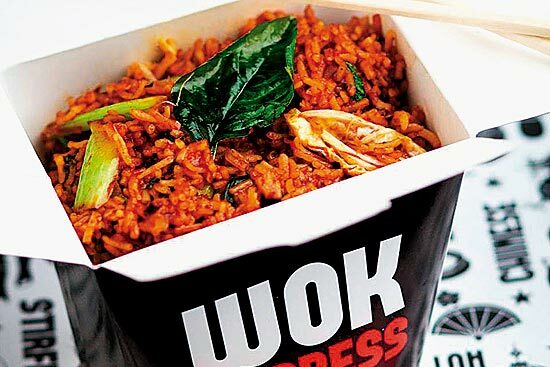 Wok Express expects customers to plan their own ‘boxes’. First you decide between medium (Rs 190 to Rs 240) and large (Rs 250 to Rs 310), and then choose from steamed rice, udon noodles, flat wheat noodles and ramen noodles. Into this base goes an array of veggies—broccoli, button mushroom, pak choy and bell peppers. After which you choose from a range of sauces—from a spicy toban to a peppery sambal to a rich pumpkin curry. All this is stir fried in a wok, topped with crushed peanuts, burnt garlic and chilly flakes and brought up to the functional but pleasant dining area on the mezzanine floor. 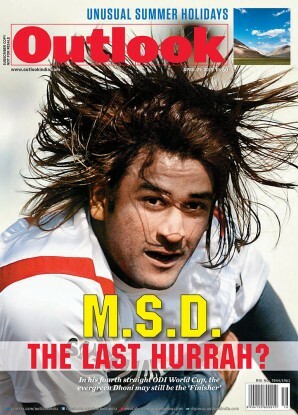 The result is enjoyable. The hearty udon with mushroom, babycorn and prawns in a coconutty Thai curry is flavourful and filling. Equally, the noodles stir fried with ter­iyaki sauce, generous quantities of veggies and chu­nks of fish is delicious. As are the thinner ramen noodles topped with chicken. And they all go well with the generous glasses of lemon and strawberry bubble tea and French vanilla bubble milk coffee (Rs 70 each). What is not so good are the other items—the orange chicken sushi (Rs 250) is topped with a distinctly un-Japanese, gloopy sauce. The edamame and truffle dumplings (Rs 250) are pasty, dense and unappetising. The chicken sticky rice (Rs 250) is a flop. Only the steamed chicken bun (Rs 250) passes muster. Also, we all eat around a small, crowded table, fiddling with tight plastic boxes and sharing-unfriendly cardboard boxes, wishing that they would supply plates. If you stick to the boxes, Wok Express is good for an affordable and fun takeout. Coffee is the new anti-aging application, and you don’t need fancy coffee cosmetics. Well-brewed coffee (without milk), frozen and applied every morning, smoothes out your skin, reduces puffiness and eliminates lines.